West Michigan Woman’s “Wine & Wig” has grown to be the premier, local party for Breast Cancer Awareness Month. It’s the only event where your dollars go to support the entire continuum of care for breast cancer, from diagnostics to treatment, emotional support and research. 2018 marks the 6th year for Wine & Wig. All money raised the night of the event goes to each charity, along with 25% of all ticket sales. In 2017, $46,000 was raised to support the four charity partners. 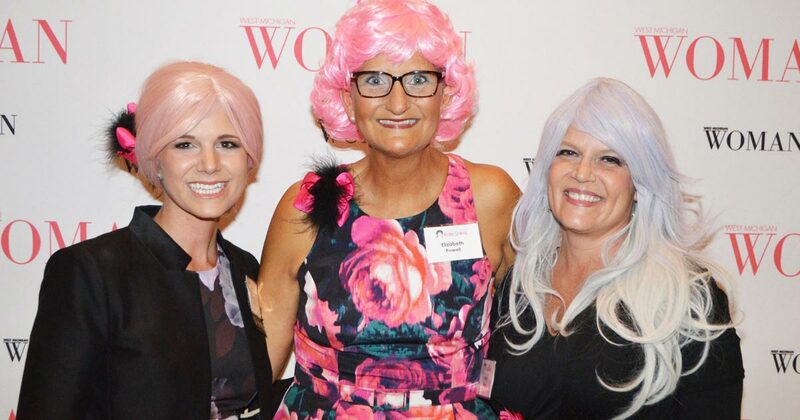 Wine & Wig is the largest fundraising event for Serendipity Cares--the 501(c)(3) philanthropic arm of Serendipity Media, LLC, which publishes West Michigan Woman. Wine & Wig is a fun event for a serious cause. We blend fundraising activities with food and music all while wearing wigs as a sign of solidarity with those coping with breast cancer or a cancer treatment that causes hair loss. The event is on October 13, 2018, at Frederik Meijer Gardens.